Fans of action and adventure will love this camouflage junior sleeping bag, ideal for sleepovers or any camping adventure. 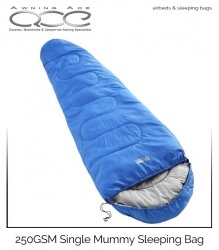 This sleeping bag is water repellent, comfortable, portable and hand washable at 30C. Size L170, width at chest 70cm. 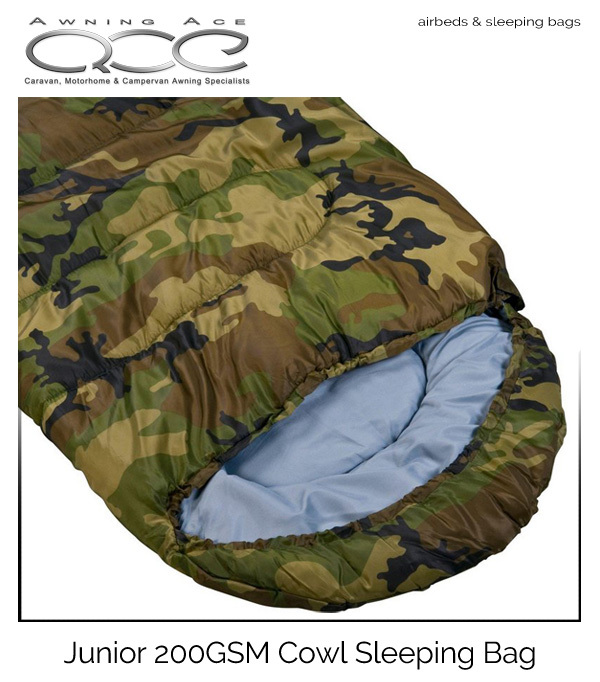 Stay cosy even on the coldest nights of your camping or hiking trips with the Highlander 250GSM Single Envelope Sleeping Bag. It features an internal security pocket for the safety of your valuables and its rectangular shape gives you ample room to move around. 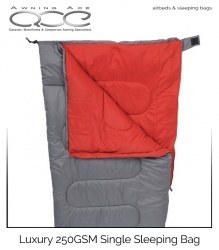 This Highlander sleeping bag is perfect for when you are camping with family, on a caravan holiday or at a festival with your friends. 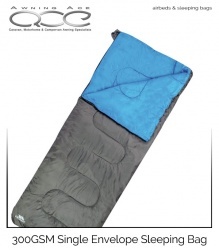 The soft inner fabric means you can have a comfortable nights sleep, wherever you are. 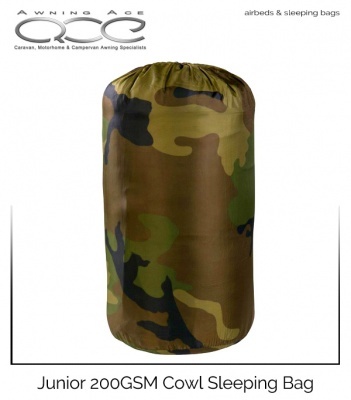 The full length 2-way zip and baffle means you can turn it into a double covering. 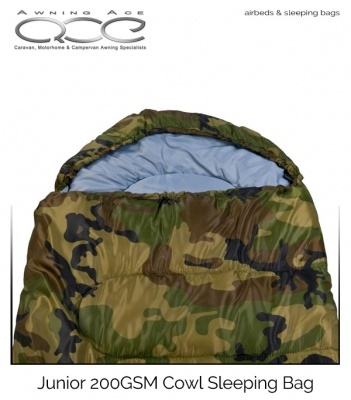 Includes hanging loops and a hood with a draw cord. 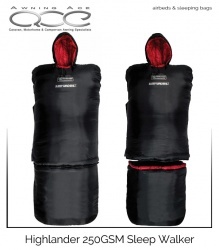 A comfortable sleeping bag with integrated fleece lined, buttoned arm holes and a fully removable leg box to allow arm and leg movement whilst retaining warmth and comfort. 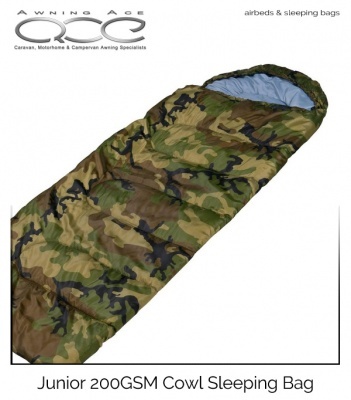 Walk around in complete freedom without getting out your sleeping bag. 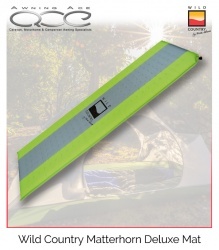 The perfect choice for camping, festivals and sleepovers.